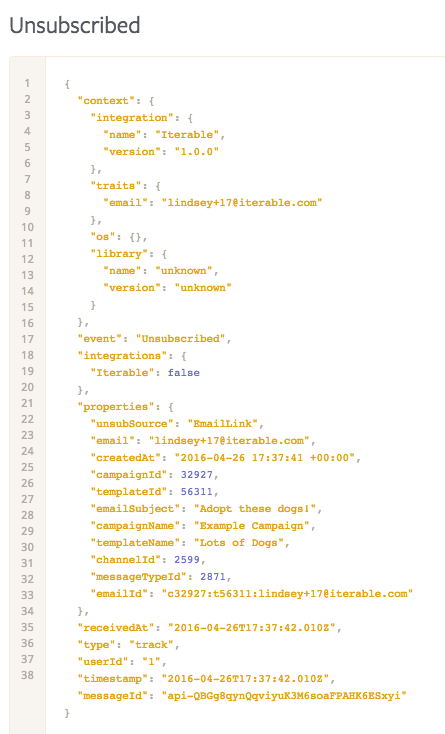 We've built an integration with Segment that allows you to pipe email campaign data out of Iterable and into your warehouse, where it can interact with Segment's 200+ integrations. The data will be sent to Segment as a track call. If you are creating a new Segment account, please give Iterable a shout out by listing Iterable in the How Did You Hear About Us? field. 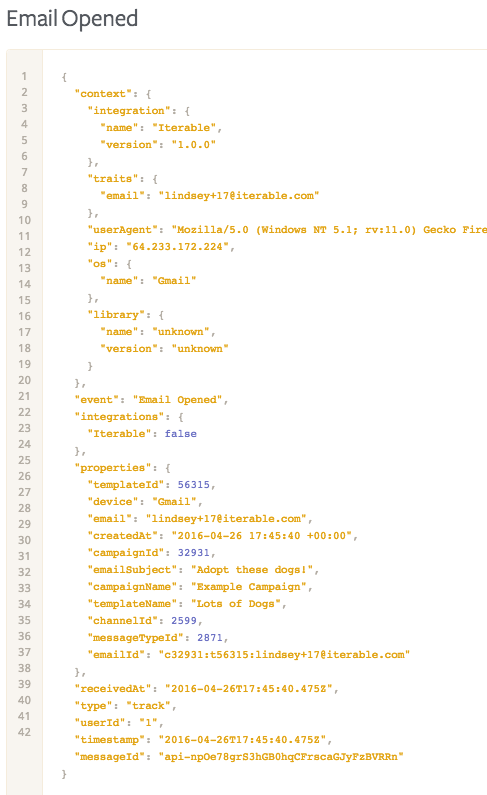 Select Iterable from the Cloud Apps catalog from your workspace's /sources page. Give the source a nickname and a schema name. 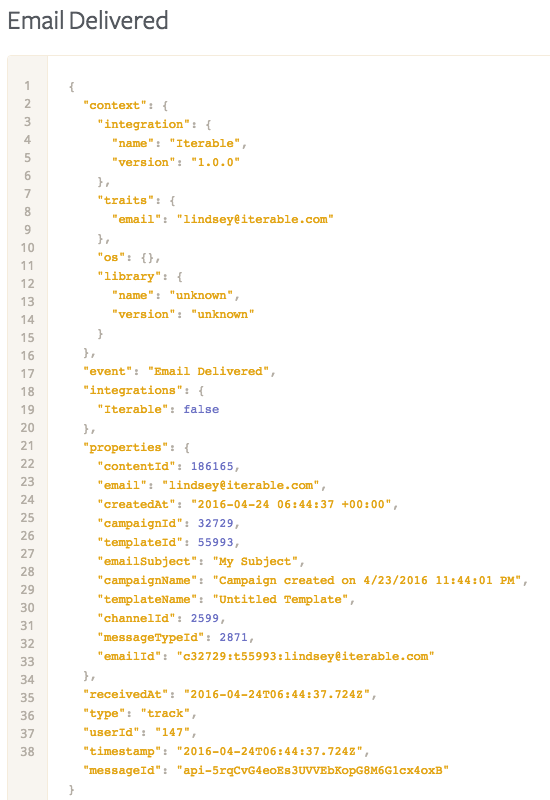 The nickname will be used to designate the source in the Segment interface, and the schema name is the namespace you'll be querying against in your warehouse. 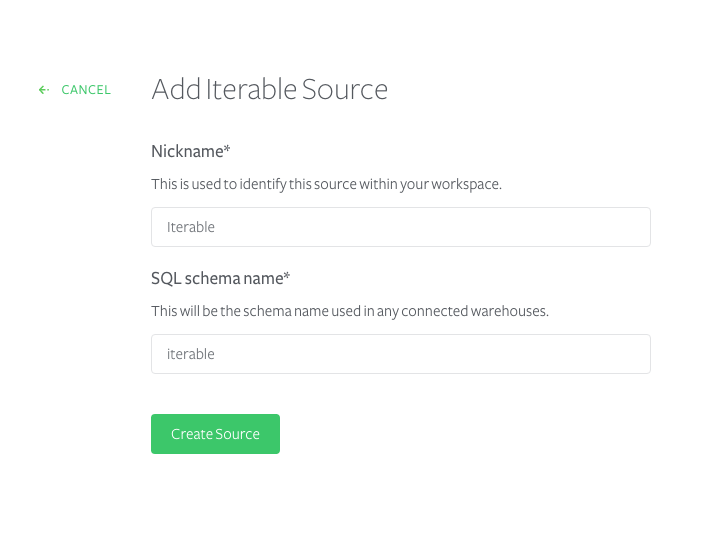 Both can be whatever you like, but we recommend sticking to something that reflects the source itself, like Iterable for Nickname and iterable for the SQL schema name. On the overview page, copy your write key into Iterable. 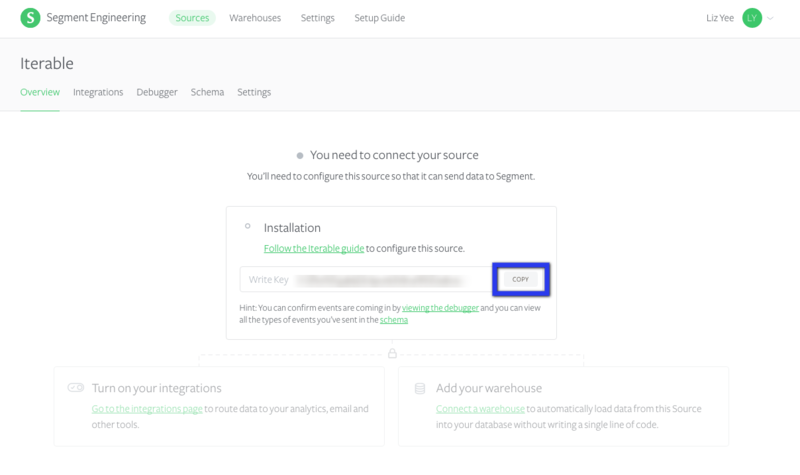 In Segment, turn on the integrations you want to sync or connect your warehouse. Locate and enter your Segment write key. 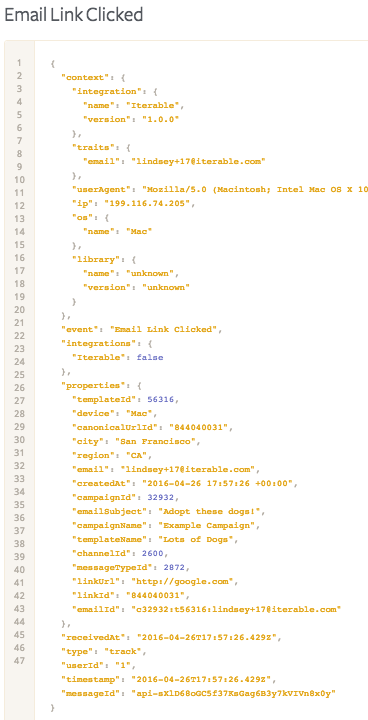 If you are using Iterable for mobile push notifications, Iterable can also send push delivery, bounce, and open events as track calls to Segment. You'll also see this message once data is flowing to your integrations or warehouse. If these events are flowing into your Segment debugger, you'll know that the source is properly enabled. 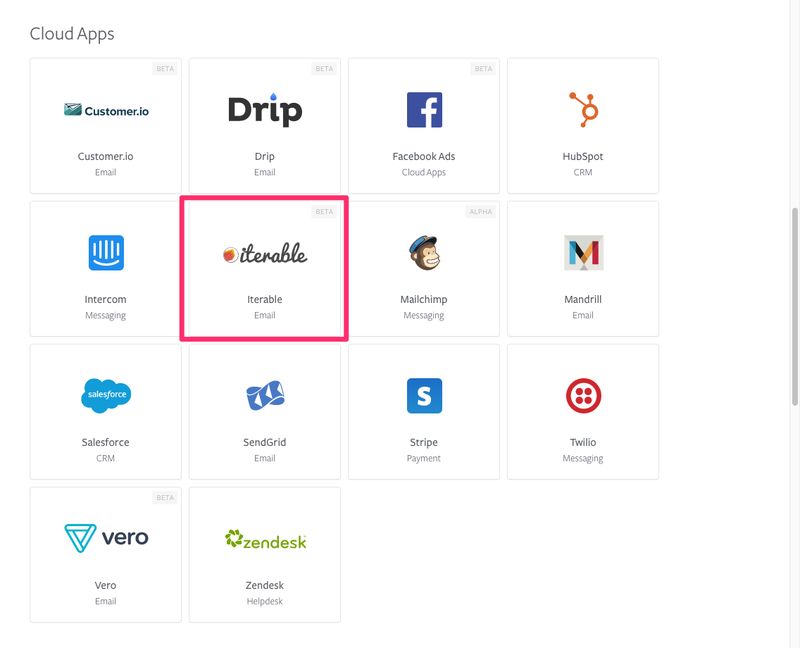 If you run into any issues, please contact our team at support@iterable.com. 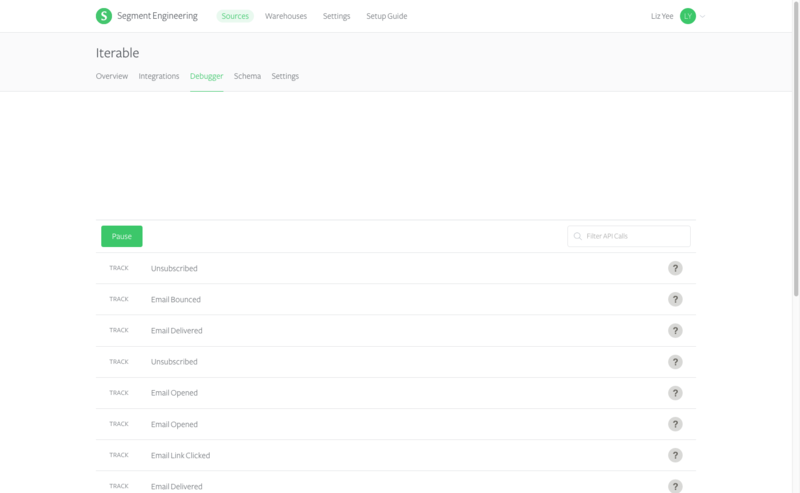 You can read about use cases here and more about Segment's Sources product here.